I have been a client of Dr. Jeff Cook since the late 70s. He is a skilled, experienced and caring veterinarian. The other veterinarians, and his staff, are a pleasure to work with and amazing as well. I have seen them perform what appear to be miracles in the past 40 years in the care of my dogs and cats. I highly recommend Lookout Mountain Veterinary Clinic. I mainly see Dr. Schure and Dr. Quist. They take such good care of my pets that I would never think about going anywhere else. The office staff is also amazing, and they remember who I am and who my pets are. Do yourself a favor and choose this vet clinic if you are looking for a place that cares about your animals. They love animals and do what’s in their best interest. 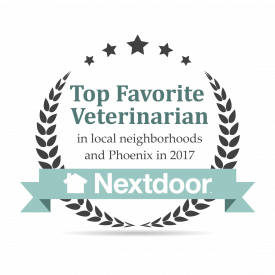 I have been a dog mom for three dogs over the course of more than 25 years, and have almost always had great doctors for them, but Lookout Mountain Veterinary Clinic Phoenix is the best of all. Dr. Schure and his staff are exceptional. My 11-year-old dog is terrified of people, but when we walk in he is more at ease than he has ever been. Every member of the staff is an animal lover and they treat my dogs just as I do, like they are my children. They take a conservative approach providing me with all reasonable options for my dogs’ care, helping me to understand each. The entire office staff is kind and caring to our whole family, human and furry. Dr. Celena Quist is the absolute BEST! I just love the way she loves our Patches! We rescued Patches and she has treated her as a member of the family. I love the time she takes to explain everything to me and to love on Patches. The staff is always fantastic and loving in their treatment of Patches and greets me every time I come in. They care about each and every animal that comes through their door. The doctors care, and they know what they are doing. They have saved two of my dogs’ lives. 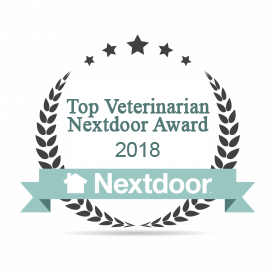 The staff is always friendly and accommodating, and my dogs love them. Highly recommend this clinic for their friendly and caring staff and specifically Dr. Quist. She went above and beyond to help our cat through her last months once she was diagnosed with cancer in the spleen. She genuinely cares and feels for you. I will always been grateful for Dr. Cook and staff at Lookout Mountain. I have been going there for over 15 years. The staff truly cares for your pets. Dr. Cook was extremely caring and loving with Duke. They all tried as much as we did to get him better. It was a fight and they stuck by us. I highly recommend taking your animals here! Top notch people in our books. As a long-time client—about 26 years—with a myriad of beloved felines over the years, this is the most caring, thoughtful, responsive and wonderful clinic in Phoenix! Dr. Schure is an incredibly caring and “stick-to-it-until-solved” vet. We could ALWAYS rely on thoughtful conversations on the care of our feline companions. Dr. Schure and the wonderful staff has been at our side through all the good times and the sad times. We love you!